Using QuestWorld to hack into people’s brains has become so strangely blase. But at least we get a time travel episode! At the end of the series, we reflect on the specific episodes that made it great (or at least watchable). Meanwhile, Michael waxes pretentious about faux-classical music, Peter resumes his bet winning streak, and both hosts solidify their stances on which season they prefer. Also included: the Hanna-Barbera Unlimited Universe team-up, Jessie’s a badass again, the return of Ezekial Rage. Watch out for those monsters, Quest Team! No, not the metaphorical monsters who are humans profiteering off deforestation, the invisible one trying to stop them! Season 2 offers up a very consistent block of episodes, but Michael has some reservations about the writing. Meanwhile, Peter discusses his scale of animated explosions. Why is Race’s voice different? Why does Dr. Quest sound so familiar all of a sudden? And what the hell was the deal with “Alligators and Okeechobee Vikings”? Closing out season 1, we find both the best and worst episodes of the show so far, and then season 2 throws our assumptions about Jonny Quest into disarray. 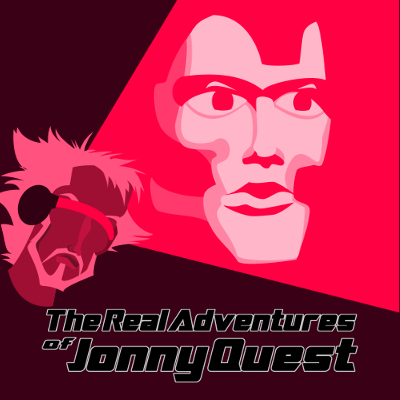 Meanwhile, Michael compares The Real Adventures of Jonny Quest to Backyardigans, and Peter appreciates Jonny showing some weakness (and Hadji showing some rage). Jonny and friends just keep trusting the wrong people. Also, sometimes monsters. Both hosts begin to pick up on the formula of this show, and the cracks begin to appear. Meanwhile, Michael is irritated by Quest team’s seeming lack of struggle, and Peter talks about Medusa. Also included: Scooby-Doo on Monster Island, whale internet skepticism, the forged Declaration of Independence, and being attacked by Air Buddies. 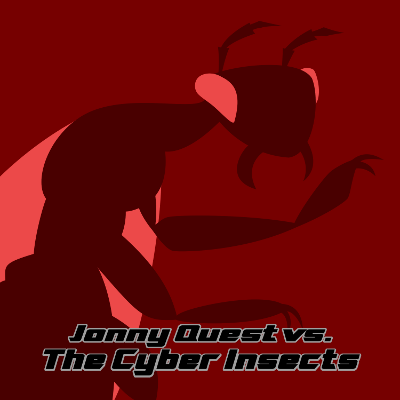 Jonny Quest brutally kills things. But don’t worry, they’re just giant bugs. In this episode, Michael and Peter reiterate, time and time again, that it’s important to be patient and to listen to your friends. Unfortunately, Jonny doesn’t absorb this very quickly whatsoever. Meanwhile, Michael weirdly hopes for some preteen romantic tension between Jonny and Jessie, Peter claims to be an expert on Cyber Insects, both wonder if there will be any 90’s CGI, and we roll out some badly out-of-date Batman v. Superman hot takes. Also included: reminiscing about Mortal Kombat: The Journey Begins, theorizing on why lasers are considered less violent than conventional firearms.